Assistant professor, University of Toronto, Toronto, ON. July 2015-present. Associate curator, Royal Ontario Museum, Toronto, ON. March 2015-present. Postdoctoral Scholar, Harvard University, Cambridge, MA. September 2012-February 2015. Ph.D., Comparative Biology, Richard Gilder Graduate School, American Museum of Natural History, New York, NY. September 2012. M.S., Biology, University of Gothenburg, Sweden. June 2008. B.S., Marine Biology, University of Gothenburg, Sweden. June 2006. Accredited course in Conservation Biology, Lund University, Sweden. September 2006. Accredited course in Gender Psychology, Lund University, Sweden. January 2002. Accredited course in the Core Studies of the Arts and Sciences, Lund University, Sweden. September 2001. Pyrosequencing the salivary transcriptome of Haemadipsa interrupta (Annelida: Clitellata: Haemadipsidae): anticoagulant diversity and insight into the evolution of anticoagulation capabilities in leeches. New insights into the phylogeny, systematics and DNA barcoding of Nemertea. Sine systemate chaos? A versatile new for earthworm taxonomy: non-invasive imaging of freshly fixed and museum specimens using micro-computed tomography. Applying combined morphological and molecular data to elucidate species diversity within the Namalycastis abiuma (Annelida: Nereididae: Namanereidinae) species complex. Phylogenomics of Annelida revisited: a cladistic approach using genome-wide EST data mining and examining the effects of missing data. Diversity and selective pressures of anticoagulants in three different species of medicinal leeches. Phylogenomics of Reichenowia parasitica, an alphaproteobacterial endosymbiont of the freshwater leech Placobdella parasitica. Genome-wide search for leech antiplatelet proteins in the non-bloodfeeding leech Helobdella robusta reveals evidence for secreted anticoagulants. Field expeditions to New Brunswick, Canada; Ontario, Canada; Baja California Sur, Mexico; Veracruz, Mexico; Gothenburg, Sweden; Washington State, USA. Extraction and amplification of DNA and computer based handling of DNA sequences using a variety of methods. Techniques included nested PCR and DNA purification. Ceríaco, L. et al. 2016 (493 signatories). Photography-based taxonomy is inadequate, unnecessary, and potentially harmful for biological sciences. Zootaxa, in press. Pérez-Flores, J., Rueda-Calderon, H., Kvist, S., Siddall, M.E. & Oceguera-Figueroa, A. From the worm in the bottle of mezcal: iDNA confirmation of a leech parasitizing the Antillean Manatee. Journal of Parasitology, 102: 553-555. Kvist, S., Oceguera-Figueroa, A., Tessler, M., Jiménez-Armenta, J., Freeman Jr., R.M., Giribet, G. & Siddall, M.E. When predator becomes prey: investigating the salivary transcriptome of the shark-feeding leech Pontobdella macrothela (Hirudinea: Piscicolidae). Zoological Journal of the Linnean Society, in press. Wang, T., White, M.M., Kvist, S., & Moncalvo J-M. Genome-wide survey of gut fungi (Harpellales) reveals the first horizontally transferred ubiquitin gene from a mosquito host. Molecular Biology and Evolution, in press. Sundberg, P., Kvist, S., & Strand, M. 2016. Evaluating the utility of single-locus DNA barcoding for the identification of ribbon worms (phylum Nemertea). PLoS ONE 11: e0155541. Sundberg, P., Andrade S.C., Bartolomeus, T., Beckers, P., von Döhren, J., Gibson, R., Giribet, G., Herrera-Bachiller, A., Junoy, J., Kajihara, H., Kvist, S., Kånneby, T., Krämer, D., Sun, S., Turbeville, J.M. & Strand, M. 2016. The future of nemertean taxonomy (phylum Nemertea) – a proposal. Zoologica Scripta 45: 579-582. Oceguera-Figueroa, A., Manzano-Marin, A., Kvist, S., Moya, A., Siddall, M.E. & Latorre, A. 2016. Comparative mitogenomics of leeches (Annelida: Clitellata): genome conservation and Placobdella-specific trnD gene duplication. PLoS ONE 11: e0155441. Siddall, M.E., Brugler, M. & Kvist, S. 2016. Comparative transcriptomic analyses of 3 species of Placobdella (Rhynchobdellida: Glossiphoniidae) confirms a single origin of blood feeding in leeches. Journal of Parasitology 102: 143-150. Kvist, S. Does a global DNA barcoding gap exist in Annelida? Mitochondrial DNA 27: 2241-2252. Kvist, S., Chernyshev, A.V. & Giribet, G. 2015. Phylogeny of Nemertea with special interest in the placement of diversity from Far East Russia and northeast Asia. Hydrobiologia 760: 105-119. Herrera, A., Kvist, S., Giribet, G., & Junoy, J. 2015. Redescription of Micrura dellechiajei (Hubrecht, 1879) (Nemertea, Pilidiophora, Lineidae), a rare Mediterranean species. Journal of the Marine Biological Association of the UK 95: 1091-1100. Magesh, M., Kvist, S., & Glasby, C.J. 2014. Insipient speciation within the Namalycastis abiuma (Annelida: Nereididae) species group from southern India revealed by combined morphological and molecular data. Proceedings of the 11th International Polychaete Conference – Memoirs of the Museum Victoria 71: 169-176. Magesh, M., Glasby, C.J. & Kvist, S. Redescription of Namalycastsis glasbyi Fernando & Rajasekaran, 2007 (Annelida, Nereididae, Namanereidinae) from India. Proceedings of the Biological Society of Washington B 127: 455-465. Lenihan, J., Kvist, S., Fernández, R., Giribet, G. & Ziegler, A. 2014. MicroCT images of freshly fixed and museum earthworm specimens. GigaScience 3:6. Fernández, R., Kvist, S., Lenihan, J., Giribet, G. & Ziegler, A. 2014. Sine systemate chaos? A versatile tool for earthworm taxonomy: non-destructive imaging of freshly fixed and museum specimens using micro-computed tomography. PLoS One 9:e96617. Kvist, S., Laumer, C.L., Junoy, J. & Giribet, G. 2014. New insights into the phylogeny, systematics and DNA barcoding of Nemertea. Invertebrate Systematics 28: 287-308. Kvist, S., Brugler, M.R., Goh, T.G., Giribet, G. & Siddall, M.E. 2014. 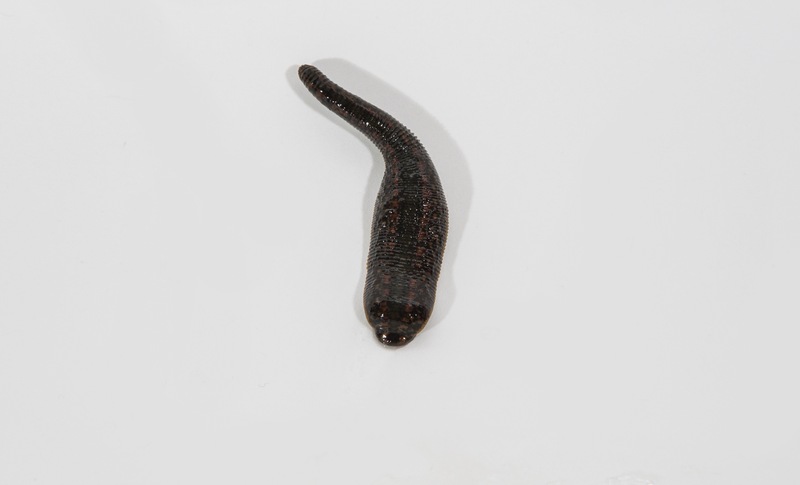 Pyrosequencing the salivary transcriptome of Haemadipsa interrupta (Annelida: Clitellata: Haemadipsidae): anticoagulant diversity and insight into the evolution of anticoagulation capabilities in leeches. Invertebrate Biology 133: 74-98. Kvist, S. Barcoding in the dark? : a critical view of the sufficiency of zoological DNA barcoding databases and a plea for broader integration of taxonomic knowledge. Molecular Phylogenetics and Evolution 69: 39-45. Kvist, S., Gi-Sik, M. & Siddall, M.E. 2013. Diversity and selective pressures of anticoagulants in three medicinal leeches (Hirudinida: Hirudinidae, Macrobdellidae). Ecology and Evolution 3: 918-933. Kvist, S. & Siddall, M.E. 2013. Phylogenomics of Annelida revisited: a cladistics approach using genome-wide EST data mining and examining the effects of missing data. Cladistics 29: 435-448. Magesh, M., Kvist, S. & Glasby, C.J. 2012. Description and phylogeny of Namalycastis jaya n. (Polychaeta: Nereididae) from the southwest coast of India. Zookeys 238: 31-43. Siddall, M.E., Kvist, S., Phillips, A.J. & Oceguera-Figueroa, A. 2012. DNA barcoding of parasitic nematodes: is it kosher? Journal of Parasitology 98: 692-694. Kvist, S., Narechania, A., Oceguera-Figueroa, A., Fuks, B. & Siddall, M.E. 2011. Phylogenomics of Reichenowia parasitica, an alphaproteobacterial endosymbiont of the freshwater leech Placobdella parasitica. PLoS One 6: e28192. Kvist, S., Sarkar, I.N. & Siddall, M.E. 2011. Genome-wide search for leech antiplatelet proteins in the non-bloodfeeding leech Helobdella robusta (Rhyncobdellida: Glossiphoniidae) reveals evidence of secreted anticoagulants. Invertebrate Biology 130: 344-350. Kvist, S, Montanari, S.A., Yi, H., Fuks, B. & Siddall, M.E. 2011. Teaching biodiversity and evolutionary biology in a North American marine coastal environment. American Biology Teacher 73:72-77. Kvist, S., Oceguera-Figueroa, A., Siddall, M.E. & Erséus, C. 2010. Barcoding, types and the Hirudo-files: using information content to critically evaluate the identity of DNA barcodes. Mitochondrial DNA 21:198-205. Kvist, S., Sarkar, I.N. & Erséus, C. 2010. Genetic variation and phylogeny of the cosmopolitan marine genus Tubificoides (Annelida: Clitellata: Naididae: Tubificinae). Molecular Phylogenetics and Evolution 57:687-702. Oceguera-Figueroa, A., Kvist, S., Watson, S.C., Sankar, D., Overstreet, M. & Siddall, M.E. 2010. Leech collections from Washington State, USA, with the description of two new species of Placobdella (Annelida: Glossiphoniidae). American Museum Novitates 3701. Siddall, M.E., Fontanella, F.M., Watson, S.C., Kvist, S. & Erséus, C. 2009. Barcoding bamboozled by bacteria: convergence to metazoan mitochondrial primer targets by marine microbes. Systematic Biology 58: 445-451. Kvist, S., Dreyer, J. & Erséus, C. 2008. Two new species of Tubificoides (Annelida: Clitellata: Naididae) from the Blake Ridge methane seep in the North-west Atlantic Ocean. Proceedings of the Biological Society Washington B 121: 531-540. Erséus, C. & Kvist, S. 2007. COI-variation in Scandinavian marine species of Tubificoides (Annelida: Clitellata: Tubificidae). Journal of the Marine Biological Association of the UK 87: 1121-1126. Kvist, S. A modern look on leeches: diversity, phylogeny and anticoagulants. Presented at the Carnegie Museum of Natural History, May 2014. Kvist, S. On the evolution of bloodfeeding in leeches: anticoagulant diversity and the utility of bacterial symbionts. Presented at Universidad Nacional Autónoma de Mexico (UNAM), February 2014. Kvist S. & Siddall, M.E. Phylogenomics of Annelida revisited: a cladistics approach using genome-wide EST data mining. Presented at Willi Hennig XXXII, Rostock, Germany, August 2013. Kvist, S. & Siddall, M.E. Phylogenomic correlates to the evolution of bloodfeeding in leeches (Hirudinida). Presented at Willi Hennig XXXI, Riverside, California, July 2012. Kvist, S., Oceguera-Figueroa, A., Narechania, A., Fuks, B. & Siddall, M.E. Leeches and bacteria: Using next generation sequencing to investigate a unique symbiosis. Presented at NE-1 District Convention, Chi Theta Chapter, Manhattan College, New York, New York. April 2011. Kvist, S. On the evolution of bloodfeeding in leeches. Presented at Willi Hennig XXXIV, New York, NY. June 2015. Kvist, S., Narechania, A., Oceguera-Figueroa, A. & Siddall, M.E. Combing the fragments: finding phylogenetically informative loci among 454 sequence of an intriguing alphaproteobacteria. Presented at Willi Hennig XXIX, Honolulu, Hawai’i. May 2010. Kvist, S., Narechania, A., Oceguera-Figueroa, A., Fuks, B. & Siddall, M.E. Gene discovery and phylogeny of the endosymbiotic bacterium Reichenowia parasitica. Poster presented at American Genetics Association Annual Symposium, Guanajuato, Mexico. July 2011. NSERC Discovery Grant, NSERC 2016-2021. Schad Conservation Grant, Royal Ontario Museum 2015. Olle Engkvist Byggmästare Research Stipend 2014. Harvard University Putnam Expedition Grant 2013. The Wenner-Gren Foundations Fellowship 2012 (Three year postdoctoral stipend). Olle Engkvist Byggmästare Research Fellowship 2012. Helge Ax:son Johnson Research Fellowship 2010. Swedish-American Foundation Research Fellowship 2009. University of Gothenburg Research Scholarship 2007.